passing in April, 1987. I trained there and at the JKA Honbu (headquarters) dojo 6 days each week, often many hours a day, with some of the best karate practitioners in the world. That six months turned into a year, then a second, then a third. I returned to the U.S. in 1988, enrolled in college and less than three and a half years later completed a Bachelor’s degree in Economics with a minor in East Asian Studies at the University of California, Santa Cruz (with stops along the way at two other institutions). During that time, I taught at several dojo, including those at UCSC and Cabrillo College (which I co-founded with Sensei Jeremy Peck), as well as having helped out with classes at SUNY Stony Brook while there. After graduation, I returned to Tokyo for work. This time, my hectic work schedule prevented me from training as often as I had previously. I eventually got enough training in to pass my yondan exam in 1997, less than a week before my return to the U.S. Since then I have returned for short training trips several times and in 1998 passed my “D” level instructor, examiner and judge exams there. Since my return from Japan, I have focused increasingly on teaching and better understanding fine points of physical movements. I was recognized by ShinkyuShotokan with the rank of rokudan in 2012 and in 2017 also achieved that rank with the World Traditional Karate Organization. There are others who teach the way I do, but we are a small minority. One student from another dojo, after visiting us for several days, told me that I had spoiled him for training anywhere else. He said that he had never known that there could be anything but “MRT” (Mindless-Repetition-Training), the way karate is taught in most Shotokan dojo. In our dojo, we think about what we are doing while we are doing it. Thinking isn’t all we do, but conscious effort can accelerate the development process, both mentally and physically. We often try to focus on one or two main points during a class, but frequently change the focus entirely for the next day’s classes. The focus of the evening classes is usually some fundamental point, practiced repetitively in some type of basic technique/movement, while we think about why and how we are doing it. For the Saturday morning classes, we do a single kata for the first hour and some type of kumite for the second hour (followed by a kids’ class). 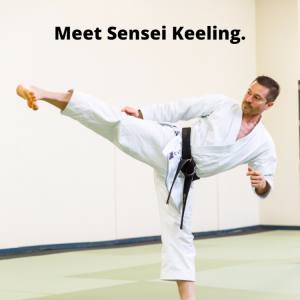 We go through four-week cycles for each kata. The first week is an introduction. The second week, we go into more detail on technique. The third week, we explore applications. On the fourth week, we review and/or look into variations of the kata. We are also careful to train safely. I demand a high level of technical skill. But I also demand a high level of effort and a good attitude. I do not expect students to make it to class all the time, as many people are busy with family, work, etc. But when they are in the dojo, I hope that they try as hard to learn as I try to teach. We also have Instructors’ Classes that many consider to be the best of its type available anywhere and are open to instructors from other dojo. 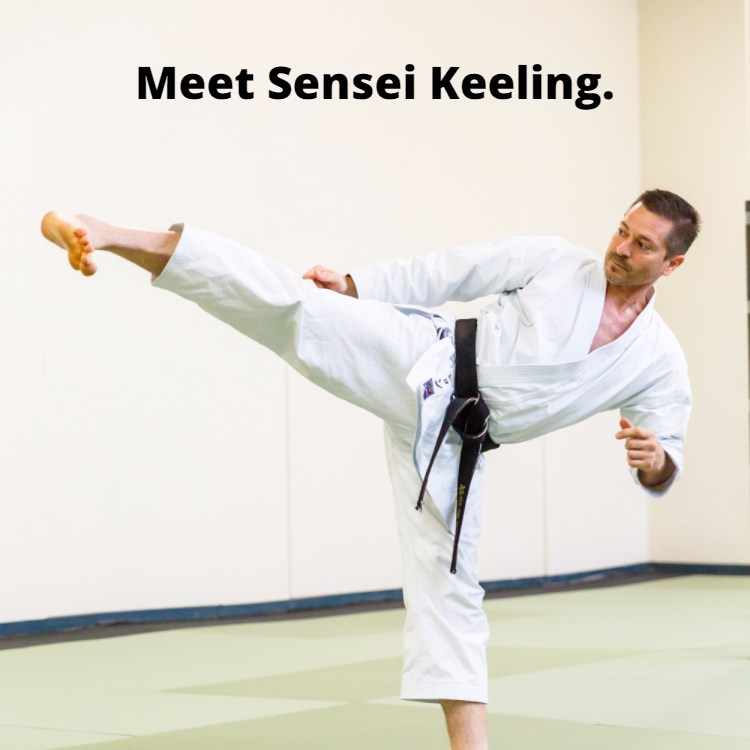 In addition, we have monthly Instructor Training that is open exclusively to our most active dojo instructors. And we have lots of special seminars, often at least once/month, including some of the best guest instructors in the world. There are a couple of reasons you haven’t seen my name on major tournament champion lists. One is that during my competitive years, I was mostly in Japan. Japan has the highest level of competition in the world, and Tokyo has by far the most great competition of any city. Qualifying for major tournaments in Japan is not easy. To get a spot representing Tokyo in the All-Japans, you must first place in the top 8 in the All-Tokyo competition. I have actually done this several times. I represented Tokyo in kumite once and kata twice and actually qualified yet again for both kata and kumite in my last year there (1997), just before moving back to the US, but forfeited my spot because I didn’t want to wait around for an extra two months just for the tournament. Even if you can make it to the All-Japans, though, that certainly doesn’t mean you’re home-free by any means. 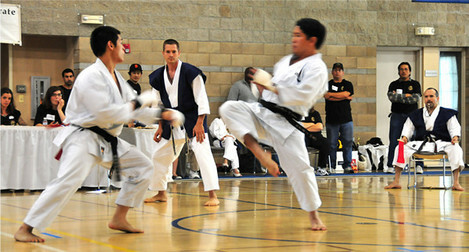 Japan has many more high-level karate competitors than any other country, and maybe all other countries combined. The other reason you don’t see my name on many tournament medal-winner lists (I am on some of them; just not many) is that I simply have not put a lot of emphasis on tournament competition. I do not focus on competition and never really have. I don’t think competition is a terrible thing. But it certainly shouldn’t be the main reason for training. That being said, I have participated in my share of tournaments, both as competitor and judge. 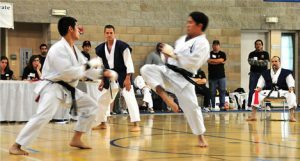 Most notable medal-winning achievements as a competitor have probably been one of each third, second and first places in team kata in the JKA All-Tokyo tournaments and several first place wins i n kata in US regional level tournaments. The last two tournaments I entered were the 1998 ISKF Northwest Regionals (1st in kata) and 2010 annual Shinkyu Shotokan tournament (1st in Senior kata). I have been the Chief Referee for all but one of Shinkyu Shotokan’s tournaments for the past 15 years (that is about 30 in total) and at minimum am in charge of a ring at every tournament I attend. How much training do you get in these days? I concentrate more these days on teaching and furthering my knowledge and research in an effort to help others succeed past the point that I have reached in my own training. When classes at my dojo are comprised of only more advanced members, I sometimes get a good amount of training in. And when I have guest instructors teaching, I often get a good workout in as well. But more often my time at the dojo is spent helping students. I also workout outside of the dojo doing Karate and calisthenics and have spent time cross-training in related activities including boxing, kick-boxing, and jujutsu, and try to refresh my memory of Aikido and other martial arts when I have time. 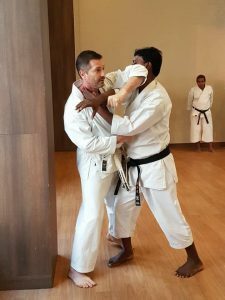 I have been interested in the self-defense aspects of martial arts from the very beginning of my journey and have put much effort into studying realistic applications of our Karate techniques and then going beyond this. I have studied a variety of martial arts and have supplemented this with additional training in self-defense, specifically. I have taken part in many seminars and workshops, including a Violence Dynamics camp for instructors. I have also taken part in active shooter scenario training with local police and have completed a local “Citizens’ Academy” with the police department. 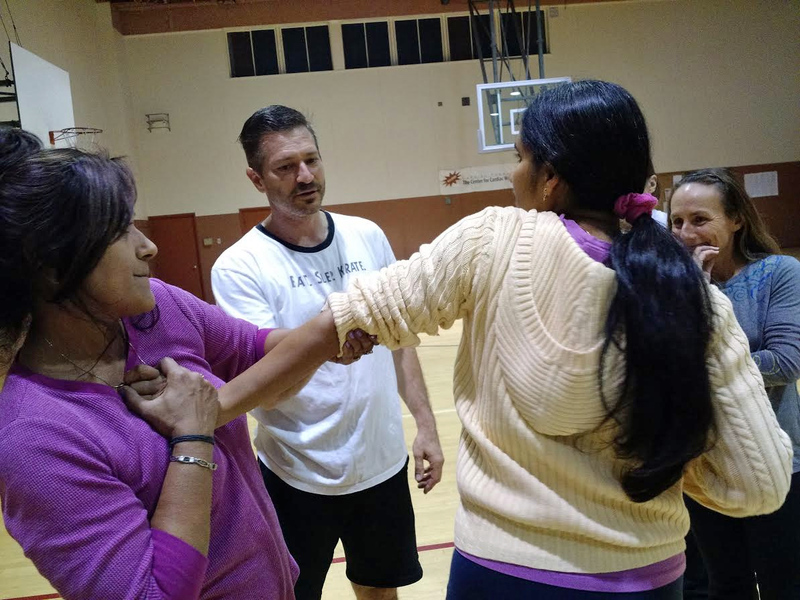 The self-defense classes at SVSK are not what you would typically find at a Karate dojo. For more info, see here. Yes, I have a life outside of karate. I have 3 children, all of whom have attended my kids’ classes. I am married to a wonderful woman who sometimes trains in my classes in addition to her hectic work and workout schedule. My professional experience lies in the fields of investments and investment technology and I have worked in the investment business as a broker, trader, vendor and technology consultant with some of the best companies in the business. I have also been involved with various karate-related ventures, including www.tokaidojapan.com (I was a senior partner in the business but turned it over to my business partner, Mr. Dan Cook, when I became too busy) and creator/contributor/editor of ShotoMag, at the time the premier Shotokan-focused online magazine. With the encouragement and support of my wonderful wife (I couldn’t have done this without it), at the end of 2012 I left the corporate world to devote all my time to Karate and related endeavors. I now regularly teach an average of 20+ hours/week, organize various special seminar sets (Instructors’ Classes, guest instructors, training camps) and have been working on developing various related activities, including a new website, ebooks and more.